Are you thinking about investing in King or Zynga? Insights from AppData can help you decide. After all the hype, King Digital Entertainment’s IPO was a letdown, to put it mildly. The social gaming company’s stock price, which debuted at $22.50, fell 15 percent on its first day of trading. It was the third-steepest drop of U.S. IPOs this year. Have you been thinking about buying $KING? If so, a subscription to AppData could help you decide. While investors are worried that the company is a one-hit wonder, the meteoric rise of Farm Heroes Saga suggests otherwise. 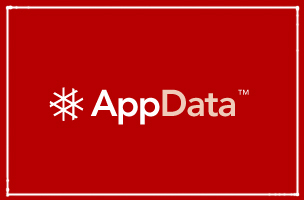 King’s games represent 25 percent of the 100 apps that AppData is tracking. Some investors are worried about social gaming companies due to Zynga’s fall from grace. Last year, the developer’s MAUs were on a downward spiral. However, according to our data, Zynga’s MAUs seemed to level out at about 90 million in December, 2013. This is the first three-month period that the company’s MAUs have stabilized. Does this signal a turnaround? We’ll be launching a power ranking soon with similar insights to illustrate these facts for subscribers. In the meantime, there is plenty of data to peruse if you’re on the fence about investing in social gaming. Got questions or feedback? Email us with this form, or call us at 415-230-2558.